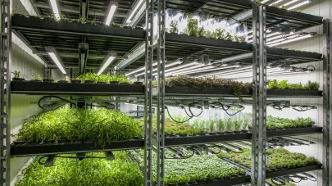 Vertical Farming is one of the solutions to the problem of the growing demand for food. 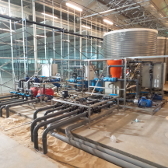 A multilayer system uses less surface, energy and water. 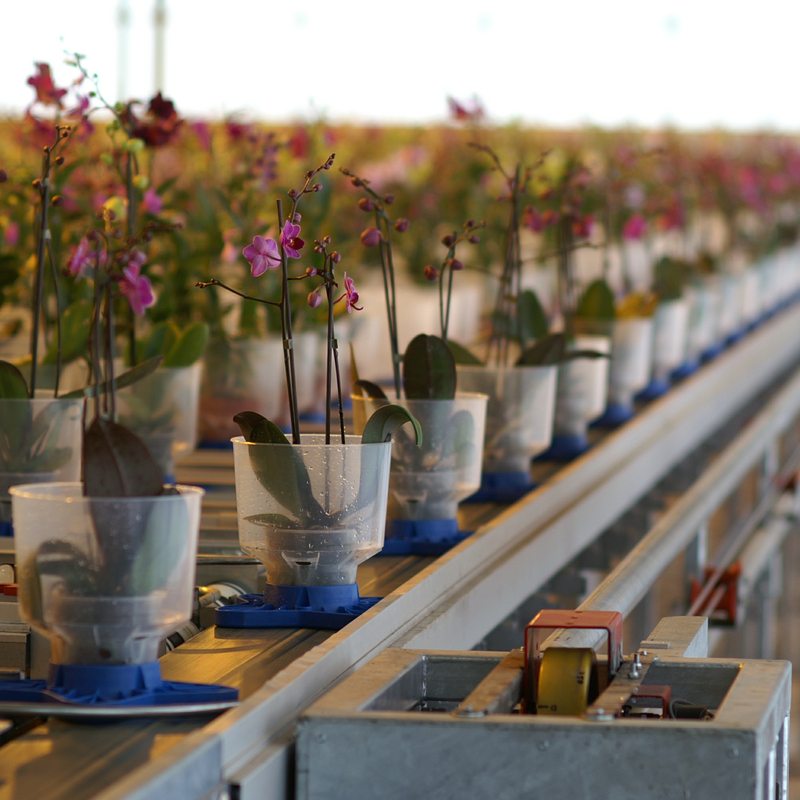 And production takes place all year round, resulting in a higher yield. 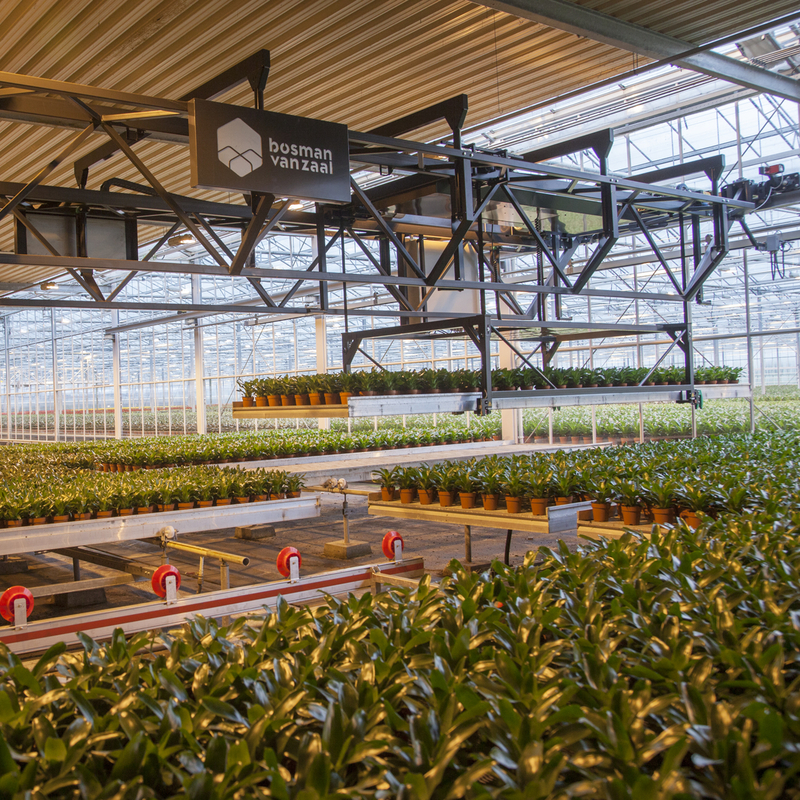 At Bosman Van Zaal we create vertical production systems, where sustainability, convenience and a higher yield are paramount. 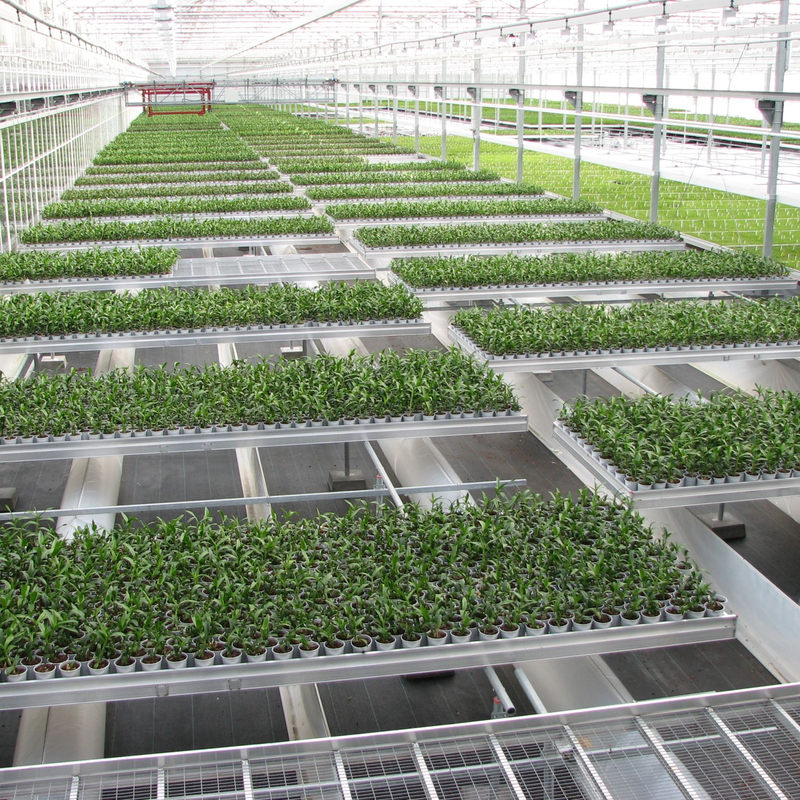 We introduce Grow & Roll as one of the components of our vertical agricultural and horticultural systems. 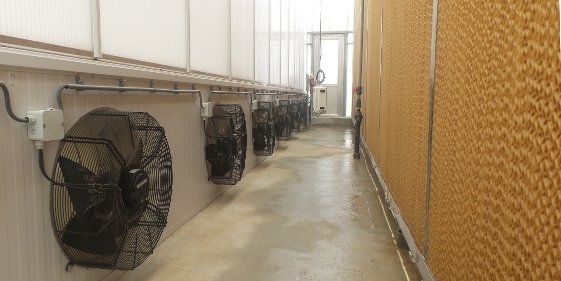 With the Grow & Roll we have developed a well thought-out system, in which we combine our expertise climate, cultivation systems, water, electricity and control systems. 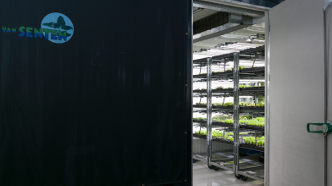 The mobile container with multilayer carts functions as a closed laboratory for the efficient cultivation of seeds, cuttings and crops. 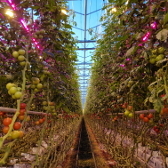 In the container any desired climate is simulated by means of adjusting temperature, humidity, light, CO2 and irrigation. 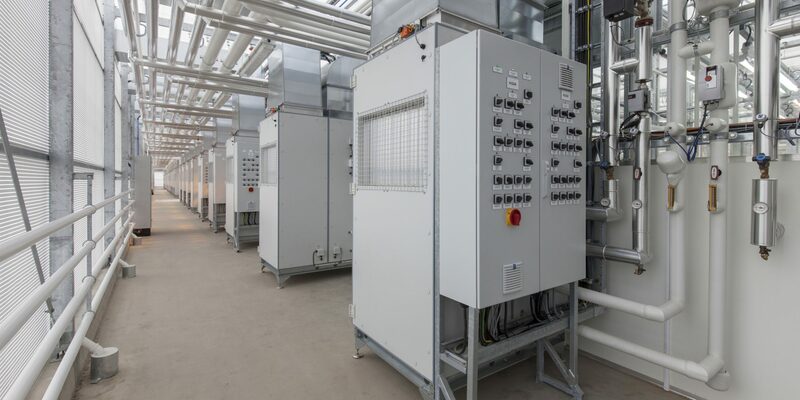 Each module has its own docking station including water connection and electrical connection for dimmable LED lamps with white supplemental light and UV for disinfection of air and water. Air circulation can be fine-tuned. Moisture and temperature problems are thus reduced to a minimum. Disinfection of the container is made easy by the movable modules. 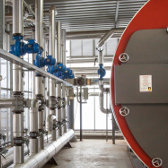 Heat exchangers enable energy recovery. 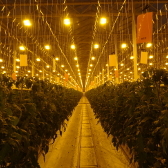 The climate is controlled by the iSii compact climate computer of partner Hoogendoorn, which measures and registers the growing conditions. This makes analyses easily available via the internet. 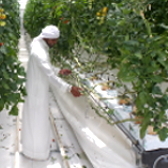 With the Grow & Roll you grow constantly, efficiently and quickly, you save space, water and energy and you realise a higher and clean production. At Bosman Van Zaal we combine our expertise under six tools that together represent our broad knowledge and expertise. 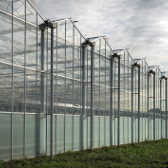 At Bosman Van Zaal we have almost a century of experience as a greenhouse builder. 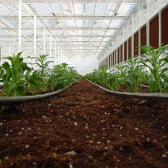 We have the right knowledge in-house to realise the ideal construction for every crop, where natural conditions are hardly an obstacle. 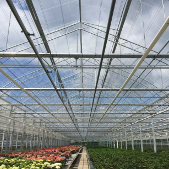 Moreover, we understand that issues such as light and climate play an important role and we immediately install the best systems in our greenhouse. Are you looking for a robust construction of recognised quality? With care and detail, we would be happy to realise this for you. 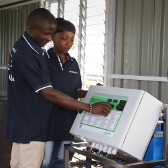 To provide your crops with water and nutrition, we realise reliable and sustainable systems. We develop our installations according to your wishes and based on the knowledge gained by ourselves and our partner universities. 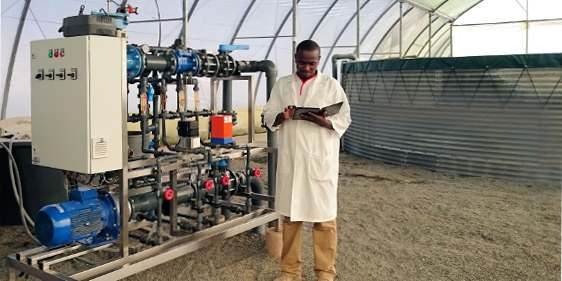 In this way, you will lead the way in the use of sustainable irrigation and fertilisation. Moreover, our systems are linked to software that gives you direct insight into the consumption and needs of your crops. In The Netherlands we often use the expertise of our sister company Montera. 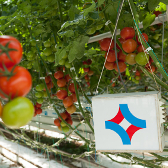 With our logistical cultivation systems, we once took our first step abroad. By now, our recognisable internal transport installations are widely spread. We have elevated the development to a form of art and design. We produce and integrate all necessary components in-house. From manually mechanised systems to fully automated robotic solutions, including mechanical or electrical control systems and software. 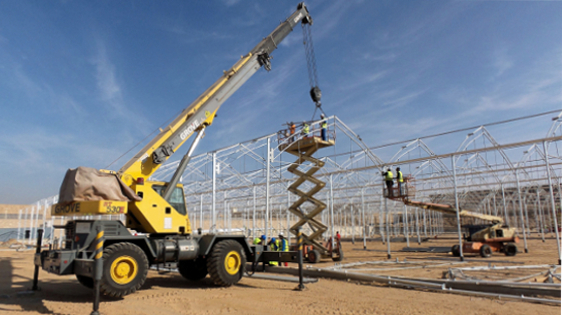 Labour productivity, space utilisation, tracking & tracing and cost control are central to us. Especially in automation and robotisation of harvesting and processing activities, we make use of the expertise of our sister company Crea-Tech. 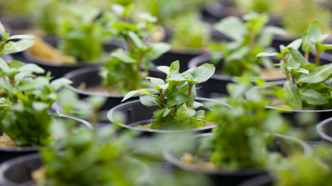 Climate plays an important role in the production and quality of your crop and the desire to grow year-round. To create the ideal environment, we provide the perfect, constant mix of heating, cooling, light, CO2 and moisture, regardless of extreme climatic conditions. In addition, our installations are energy-saving. 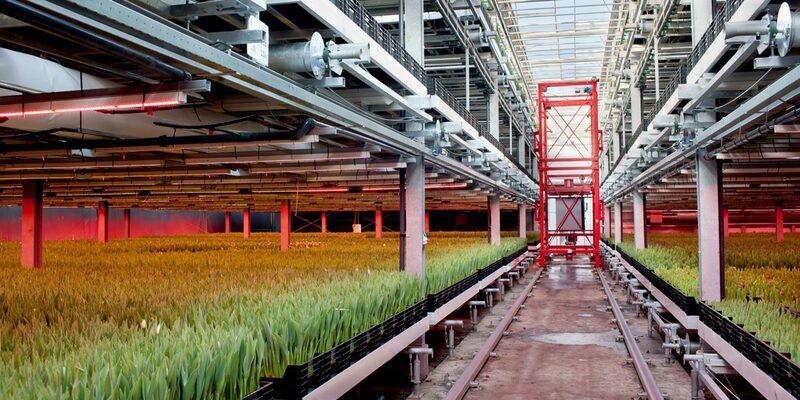 For example, we realised the first Gas-free greenhouse in collaboration with Wageningen University. Electricity is the basis of the drive and control of all our systems. 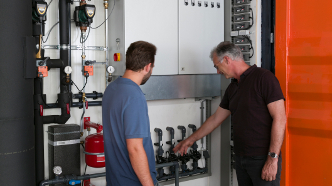 That is why electrical systems play a central role within the activities of Bosman Van Zaal. 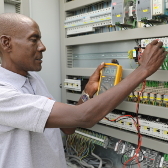 We design electrical systems to drive our installations and install climate computers. 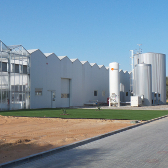 We also install growing light installations (LED and conventional) and use cogeneration (CHP). 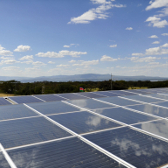 Sustainable and efficient energy management is our priority. It is important that you can rely on the accurate operation of your systems, where consistent quality, ease of use and low costs are paramount. 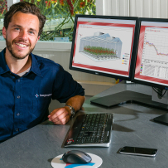 We are a certified installer of one of the most commonly used automated climate and irrigation computers: Ridder (HortiMaX) and Hoogendoorn. 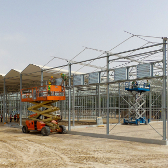 Our sister company Indigo Logistics develops management software for the control, visualisation and communication of our logistical cultivation systems. 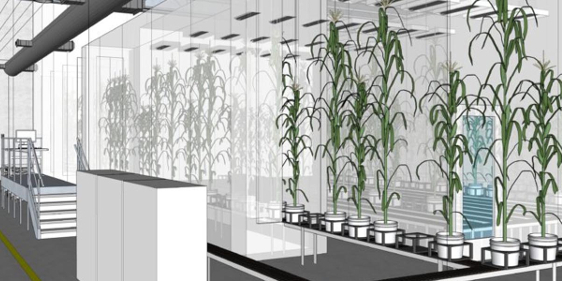 Lastly, in collaboration with our sister company PhenoKey, we realise complete phenotyping facilities, including hyperspectral cameras, advanced data collection and data analysis.